We encourage families and au pairs to share their stories and experiences. 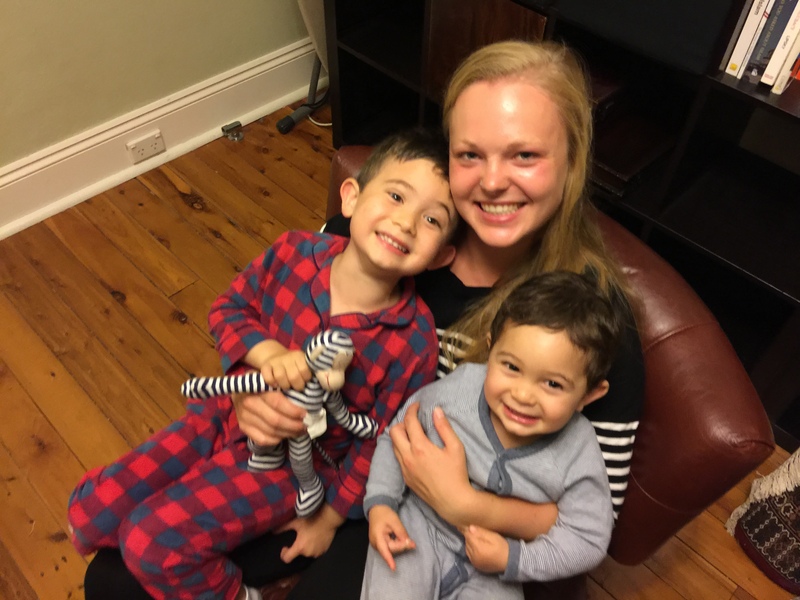 It is lovely to see so many examples of au pair success and how families and au pairs are benefitting from our au pair program. 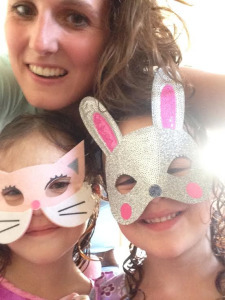 Each family we talk to is different and we would like to share a selection of feedback received from recent testimonials and our Au Pair of the Month competitions. We look forward to hear your success story soon! Larissa is an articulate and creative person, she engages my children in activities from painting, arts and craft, sports and role-play, which have all been welcomed by my children, the children in our neighborhood and mostly, by myself and my wife as this ensures our boys are not being idle on iPads or the TV and keeping them stimulated, creative and active. When Larissa goes out to pick up the boys from school, or goes out with friends that afternoon or on a weekend, she will not just think about herself, but ask if you need anything while she is out, or even if the bread is low or milk is almost gone, will get some while they are gone. As with everything, it’s the little things that make us proud of having her in our house and is a massive weight lifted from our shoulders. With Larissa, everything ‘just works’, and it is like we have an angel in our midst, there is a type of magic that happens in our household. Maggie should be au pair of the month as she is truly an amazing person. She has become part of our family so quickly and shows tremendous love, patience and kindness towards our twin girls whilst keeping our busy household ticking over. She has adapted to life in a new country so well and has embraced the opportunity and in doing so has made some lifelong friends. She will be sadly missed when she embarks on her travels in a few weeks. Michelle is very warm and caring and so easy to talk with. She fit into our family very quickly and made a huge effort to get to know our two children. Our son, Sam, has autism and engages in some very challenging behaviours. Michelle has invested a lot of time to understand Sam and why he behaves the way he does sometimes. She is very involved in discussions we have about how we can help and support Sam and offers some great insights into how Sam perceives the world. There are very few people who really understand Sam but Michelle is one of them. I often work long hours and my husband is an international pilot who is frequently overseas. I completely trust Michelle to care for the kids while we are not around and know that they are being cared for by someone who loves them. “Ingrid has really bonded with Sam, my seven year old boy. We are currently holidaying down the South Coast and it seems she is enjoying herself. Each day is filled with activities, jumping pillows, beach and fun with Ingrid, Sam and his little friends who often visit him. One little boy offered Ingrid his holiday money of $20 to Ingrid to be his au pair. He held the money up to her and with his big eyes said “please, can you be my au pair for two days”. It’s no secret that Ingrid has warmed the hearts of the residence of our van park. Ingrid plays with all children with no expectations in returns. My Sam has autism and has had constant interaction with Ingrid and other children. Aileen joined us at a time where as a family we were struggling to manage the daily schedules of two working parents and two energetic little boys. I remember the first few moments when she first came to our house, her first question after putting her bag down was “how can I help”. And help she did! Over the 6 months she diligently and carefully cared for our children, and the time flew like mere seconds. Our boys love her dearly, with her name being one of the very first words my youngest spoke – “Aieeen” he would say. The best thing for me is the pressure I was under trying to get everything done in my working hours before having to leave to collect the children from school. Now I am able to work back until everything is complete and that takes a lot of pressure off me. It also helps having someone to assist with the household duties like dinner and shopping that I no longer have time to do. The children are really enjoying their time with the au pair who coordinates afternoon activities and homework after school till I get home from work. My Aupair Leonie should be Aupair of the month because without her our family wouldn’t cope right now. Leo joined us in January and I have gained another daughter. She is a valued member of our family and has all the qualities I hope my girls grow up to have. She is calm, considerate, caring, happy and most of all lots of fun to have around. Nothing is too much trouble for Leo and her genuine care and love for our girls is beautiful. She so deserves to be recognised for her amazing contribution to our family. Manon is Amazing!!! She has made everything at home so much quicker and easier. We are so happy she has come to our family. Lisa has a great work ethic and her experience with children is evident. Marloes is a good fit with the family. She is fun, firm and fair with the children. It’s a relief to know that things are taken care of while I’m at work. Amelie clearly enjoy her stay with the family: “My english got a lot better and I get on very well with my host family. They really make me feel like I’m part of the family and have similar interests as me (beach, surfing). My host parents are always there for me when I need help and the kids are really funny and lovely (most of the time). As I am located near the beach, I can go to the beach regularly and even learned how to surf. I also got a member of the local surf club and will do a course there to become a lifesaver. I have also joined a swim group and tried pole dancing. I love it that I can try so many new things! 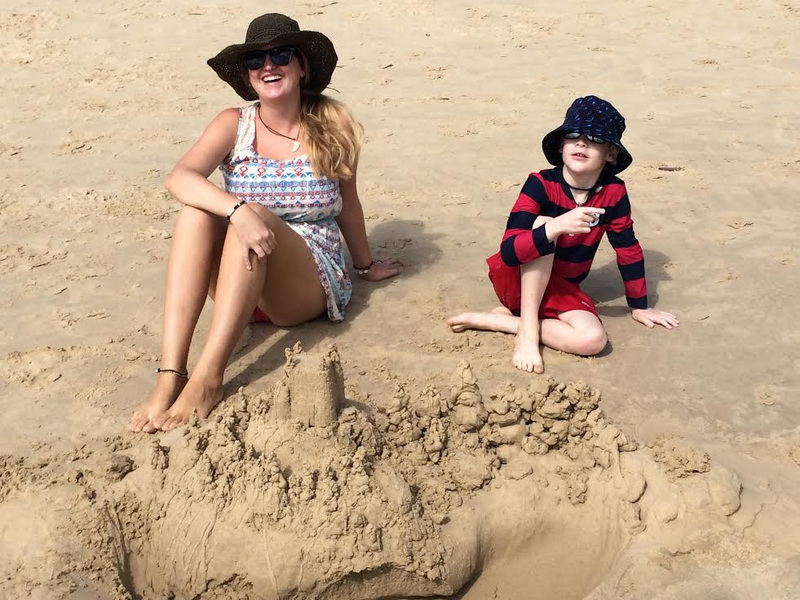 Johanna from Germany felt part of the family: “The best part of being Au Pair in Australia is getting to know so many great people, especially my lovely hostfamily. They truly made me feel like part of their family. It was beautiful seeing little A. growing up from a small baby to a little boy and learning so much during my time with him. Zoe from Germany enjoyed her first night babysitting. Last Saturday I stayed at home alone with the boys (Pyjamiparty!!) during the parents went out to a birthday party and they did everything what I told them to do after only two weeks being in the family. Before they never really listened to me because they were testing how far they can go but this night was more than amazing. We ate pizza and popcorn, watched a lego movie and even danced after brushing the theeth to “Everybody dance now” and they listened to me which madee me so happy and proud. “I must admit that out here there are some families who recruit au pairs through gum tree etc and treat their au pairs poorly. Other families consider me foolish to recruit through your agency because of what your au pairs cost and the cost of placement. However, I know I’m getting a young person who will arrive as planned and integrate into the family. The proof of how well I treat my Au Pairs is the fact we still remain in touch on face book. When my Au Pairs arrive they are provided with a car, I take them to the bank to set up an account and I also ensure they get a sim card for their phone with Telstra. Every Au Pair that has come to our family has gone on a holiday with us also. This is not slavery but an experience. It’s such a shame it was portrayed so poorly. Perhaps going through a reputable agency should be compulsory for Au Pair placements. I do hope my message finds you and the team well! As we are just about to say good-bye to our fifth Au Pair and have our sixth Au Pair arrive through Smart Au Pairs I felt very compelled to write to you to share of our experiences. 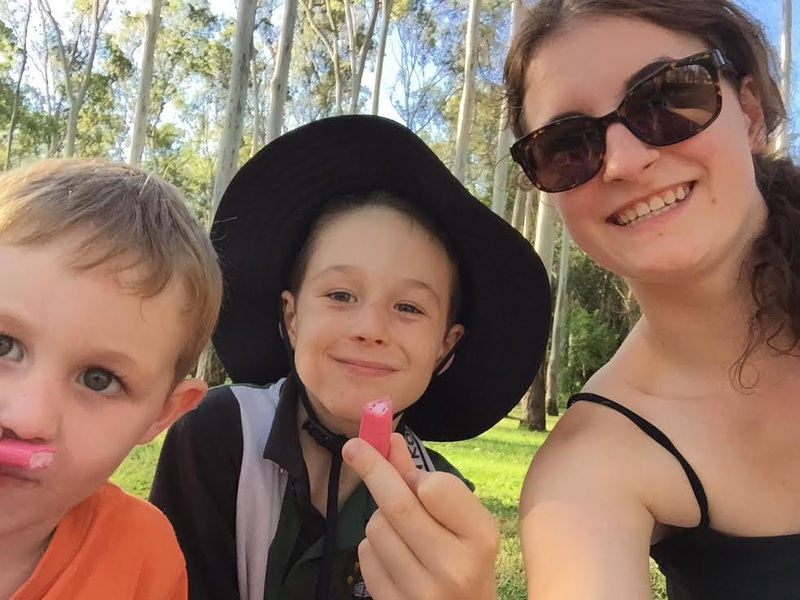 When I first heard about the Au Pair program, I initially thought, if this was my daughter travelling to the other side of the world, how would I like her to be looked after by her host family? This for me has guided our approach and how we have welcomed each Au Pair to become truly part of our family. It is hard to put into words the impact this has had on our big, crazy family of six, and the heartfelt connections we have made. We still keep in touch with each of our Au Pairs from France, Denmark and Germany, and for how we view it, we now have extended family all over the world. Each and every one of our pairs has become an extension of our family, and we have genuinely loved each and every one of them. Even now, I receive texts, photos, emails and Facebook messages so we can all stay connected. We miss all of them so much and they will be part of our hearts and lives forever. We have had some visiting Australia come back and stay with us, had their families visit and spend time with our family. Each of our four children have been so positively influenced by each of these beautiful souls and they will remembered in our lives forever. I know as our children travel overseas, they too will remain connected and we as family will look forward to one visiting them all when we travel to Europe. If people could see the tears when they leave our family, the love that we all give each other, the laughter, the banter, the fun and the pure joy we have when we are together, I am sure they could see what this experience can give to everyone. They too have all too worked extremely hard and taken impeccable care of our children and provided us with a model of care that has enabled our lives to be so much easier. I truly believe also it is how the family views having an Au Pair, however for us, it is simply an extension of our family. I just wanted to take the time to thank you and Smart Au Pairs for enriching our lives in a way we could have never imagined, for helping us with our child care needs, however most of all, for bringing each and every one of these amazing people into our lives. Holly gave us this lovely testimonial. Host mum Fiona from Queenscliff gave us this lovely testimonial. 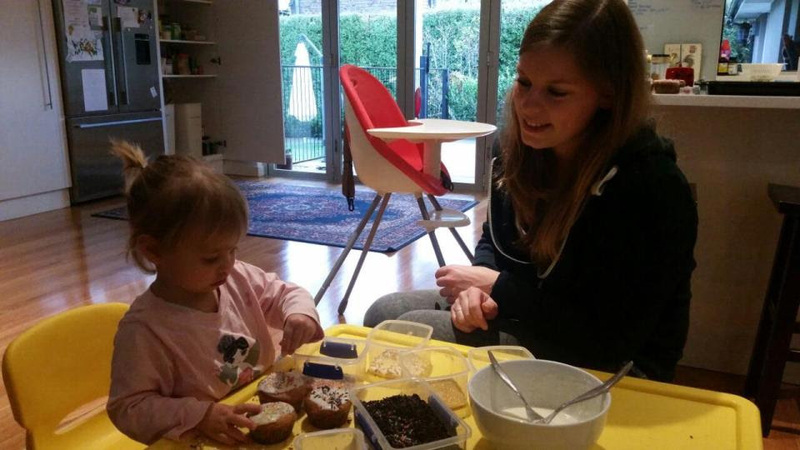 We asked some au pairs to complete this sentence; the best part of being au pair is…….